Season the chicken with salt, pepper and nutmeg and combine with the onion, garlic, corn flake crumbs and 1 egg. Roll mini balls and drop them into the soup. 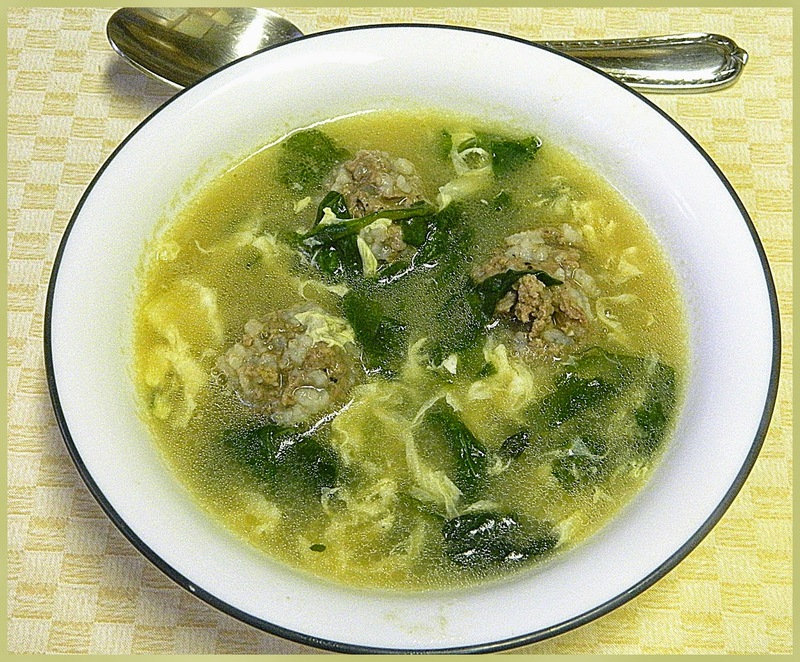 Simmer the meatballs in the broth for 10 minutes. Mix the remaining 3 eggs with the, parsley, salt and pepper. Stir into the soup. I drop about a teaspoon of egg mixture into hot broth. Take the soup off the heat, then add the scallions and lemon juice. You brought back great memories for me. My grandmother made this every Easter. My husband likes egg drop soup, but eats the Asian version. I'm thinking he would love this Italian one. 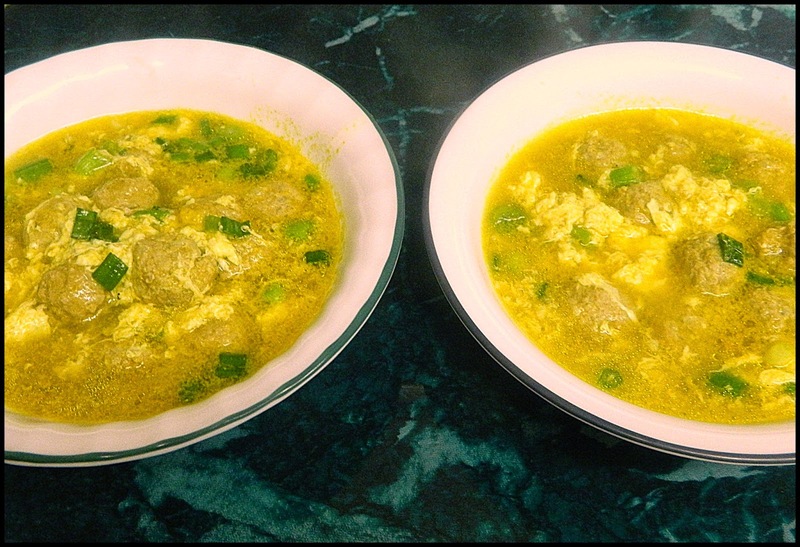 I love Asian egg drop soup, and this looks even better! Your meatballs look so simple and yummy! Thanks for Sharing with Waste Not Wednesday!